Balefire Goods is an artisan jewelry gallery that brings together the best in contemporary, handmade jewelry from artists, metalsmiths, and jewelers around the globe. Additionally, we create custom work in house and are proud to showcase local art. We see jewelry as a unique art form because it is a sculpture that is completed by the act of being worn. Yet, when done well, jewelry can also hold up to the test of time and become an heirloom that carries with it great personal and sentimental value. Balefire’s unique artisan collection is built around this powerful synergy. Based in Historic Olde Town Arvada, Colorado, our light-filled gallery is an approachable and engaging place to find a great gift, enjoy an art opening, support a non-profit, or learn a new skill in one of our classes. 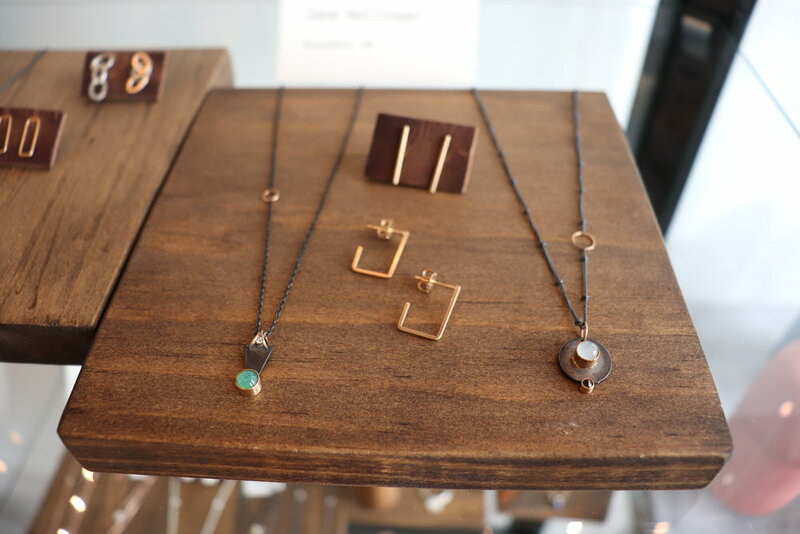 Jamie Hollier, Balefire’s owner, studied both Art History and Metalsmithing as part of her Bachelor of Fine Arts, and is focused on building a collection that highlights creative and well-made jewelry for an assortment of tastes and budgets. Working with a diversity of techniques and materials, our artists make jewelry that is both memorable and accessible. Highlighting a slow fashion approach to jewelry, which includes emphasizing environmentally and ethically sourced and created products. Creating community through support for local non-profits and educational events. Supporting the arts by highlighting jewelry designers and other local and emerging artists. Emphasizing inclusion with a welcoming environment for all and a non-gendered approach to jewelry. Bario Neal began as the collaborative work of designers Anna Bario and Page Neal. Anna and Page began working together with the shared idea that our most precious things come with a story. Drawn to the imaginative possibilities of jewelry, yet disillusioned by industry standards that turned a blind eye to metal and gemstone mining’s environmental and human tolls, the designers began to envision how to make jewelry of lasting value and ethical origins. In 2008, Anna and Page launched Bario Neal as a design-forward, women-owned and feminist company. Today, Bario Neal is an industry leader in ethical sourcing and progressive manufacturing, known for its design sensibility and high-quality, handcrafted work. A belief in the right to love and marry whoever and however you choose is one of the core principles of Bario Neal’s jewelry. Whether it is a custom diamond ring or a pendant from the collections, each piece is designed in-house and handcrafted with reclaimed precious metals, Fairmined gold, and ethically sourced stones. The Bario Neal team works extensively with a local community of craftspeople on Philadelphia’s historic Jeweler’s Row — the oldest jewelry district in the United States — to apply specialized techniques such as hand engraving or glass enameling. When visiting Bario Neal Philadelphia or the New York showroom, you will find an atmosphere unlike any other jewelry shop. The Philadelphia flagship doubles as both a production workshop and retail space, where a diverse group of skilled jewelers work next to the collection displays. The knowledgeable sales and design crew are thoughtful, approachable and trained to help customers realize their vision, whether through a custom design or an item from one of Bario Neal’s acclaimed collections. Sausalito Jewelers is committed to the highest standards of quality jewels and materials, responsible and sustainable sourcing, artisan craftsmanship, and excellence in customer service. Sausalito Jewelers specializes in the expert curation and custom creation of ethically sourced, high grade fine jewelry in the Bay Area. For more than twenty years, we have been committed to the highest standards of responsible and sustainable sourcing, quality jewels and materials, and artisan craftsmanship. Our pursuit of environmentally sustainable and socially responsible jewelry has led us to become a proud partner with Forevermark Diamonds, a partner with the Mercury Free Mining Challenge, a member of Ethical Metalsmiths, and a certified retailer of Fairmined Gold. Located in the heart of beautiful Sausalito, our intimate boutique is where clients can ask questions, take part in the creative design process, and watch as their unique visions become realities. We believe that life’s most important and cherished milestones deserve exquisite designs made specifically for you. We carefully listen to your ideas and encourage you to participate in every step of our custom jewelry process. Our state-of-the-art laser and 3D printing methods ensure pieces are created to your exact specifications while our specialized use of induction casting creates impeccable jewelry of the highest caliber. 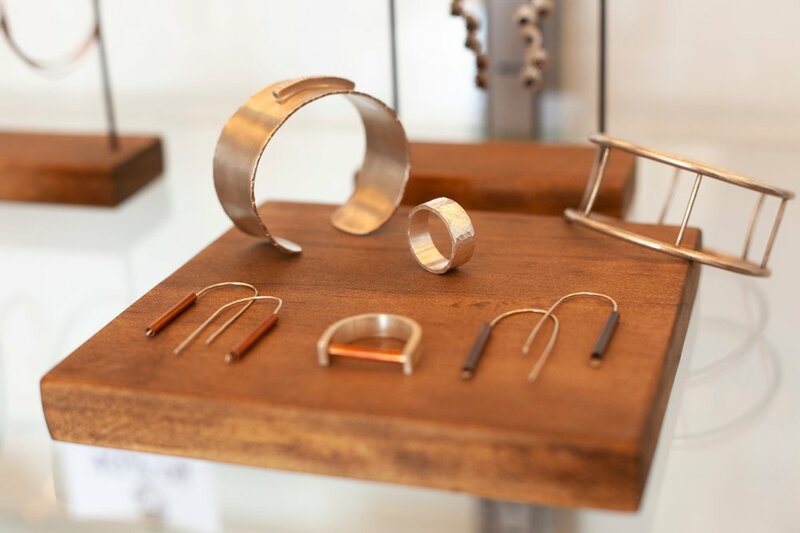 Designer-goldsmith Hanna Cook-Wallace founded Studio Jewelers in 1981 as a brick-and-mortar venue for fine art jewelers to display and sell their work. After six years in a tiny location on the east side of Madison, she move to her current location on the edge of the UW-Madison campus. 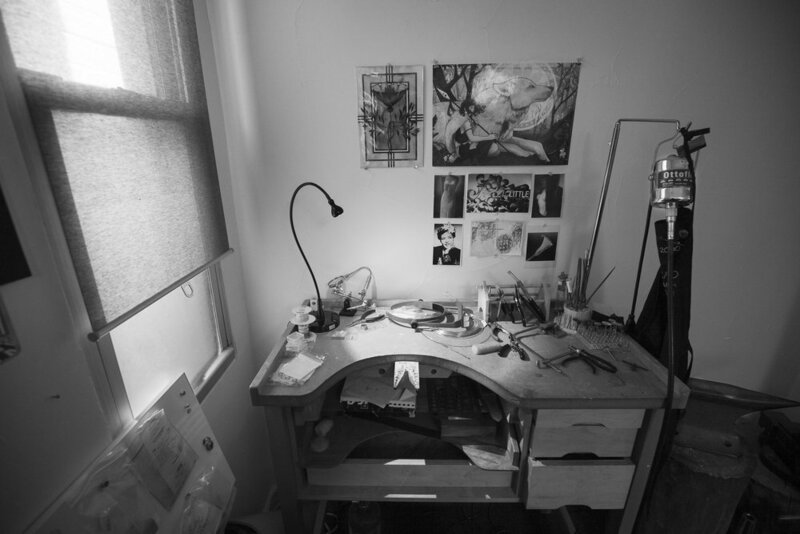 The Studio Jewelers roster of artists is a mix of individual designers, small independent studios and academic metalsmiths from around the country. Studio Jewelers has three in-house designers and offers custom design, repair and appraisal services.